Hello! 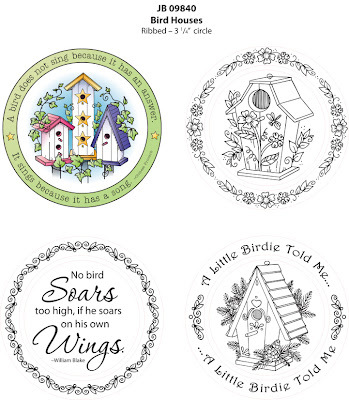 Today, JustRite Stampers is introducing a new ribbed set, JB-09840 3 1/4" Bird Houses - Interlocking. 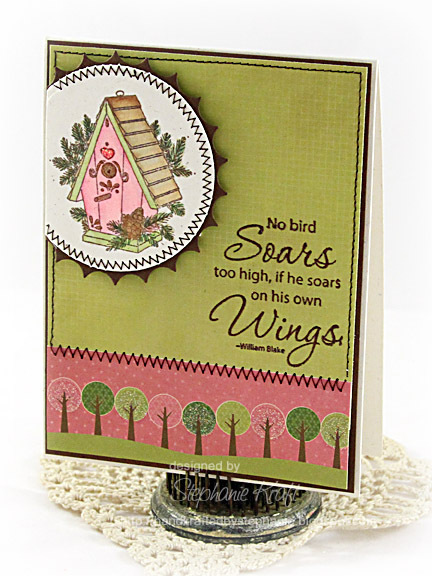 It is a darling set for all of you bird lovers and includes some lovely images and coordinating sentiments / quotes. I kept my card on the simple side today.. I used two of the centers from the set. My main image is one of the sweet birdhouse images, which I colored with Copic markers. 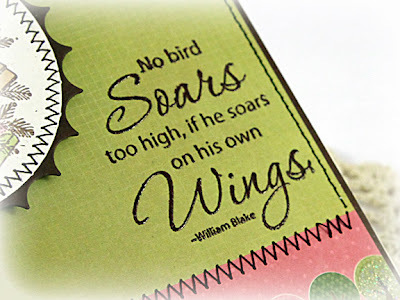 The quote is embossed with Chocolate Brown embossing powder. 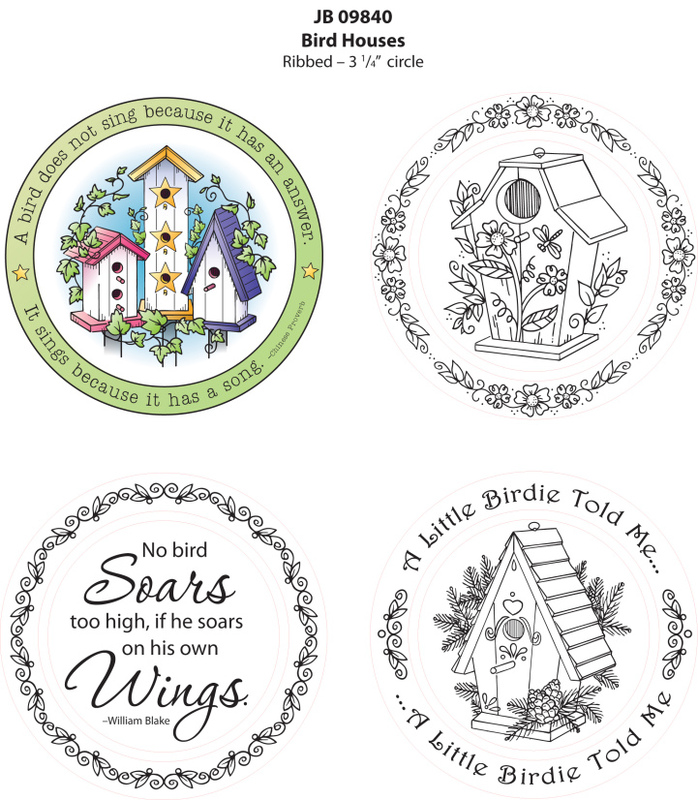 JustRite Stampers: JB-09840 3 1/4" Bird Houses - Interlocking, JB-08117 Wood Stampers 3 1/4"
Accessories: Chocolate Brown embossing powder (Stampendous), Icicle Stickles (Ranger), Foam tape, Thread, Sewing machine. Oh my gosh Stephanie! This card is so cute! I love the pink birdhouse & a perfect mix with that sweet DP! This is going on my MUST have list! Love how your card turned out, Stephanie! The birdhouses are adorable! These birdhouses are darling. Makes me feel like spring is in the air. Love the colors of your card. These colors are so pretty! I love these bird houses! TFS! This is absolutely darling! Love those birdhouses! And there's that perfect stitching again! Just stunning!